Created for the everyday rippers, the Ride VXN snowboard bindings crush hardpack, powder and slush. Featuring the lifetime warrantied Aluminum Edge Chassis with adjustable heelcup and the ladies specific Slimeback VXN Highback, you'll have premium freestyle flex with all-mountain versatility. 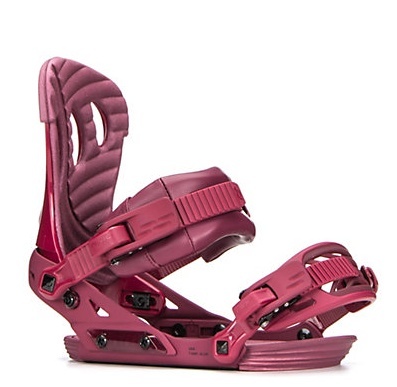 Wedgie Footbeds and the Freestyle Asym Ankle Straps will have you feeling secure and comfortable so you can confidently hit that cliff, jib that staircase or bomb groomers with the girls. 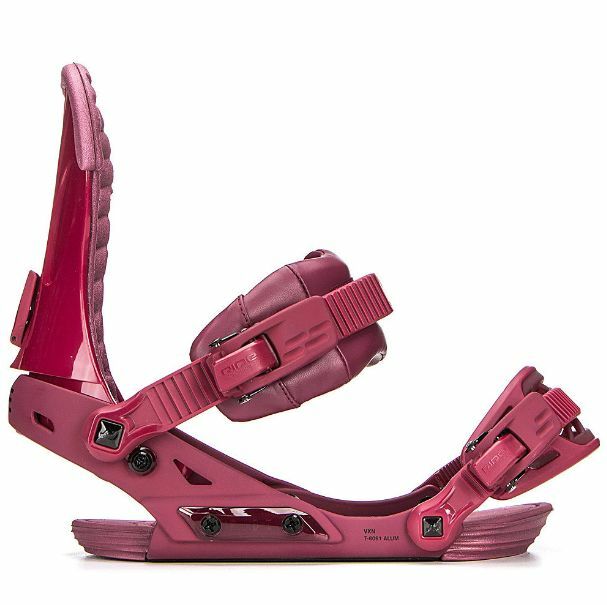 With the Ride VXN you get a responsive and dependable mid-flexing binding that will perform everywhere from the backcountry to the park.